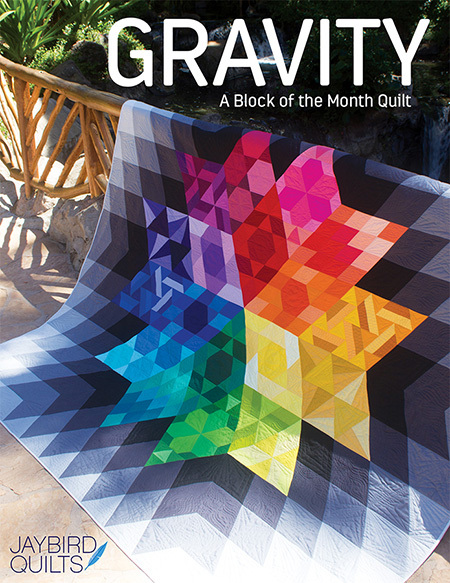 The great team over at Fat Quarter Shop has created a new free pattern. 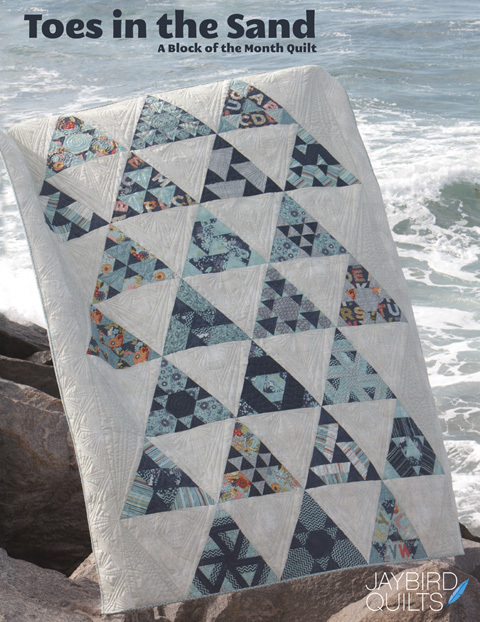 It is called "Layer Cake Lemonade" and is the 2nd pattern in their Shortcut Quilt Series. 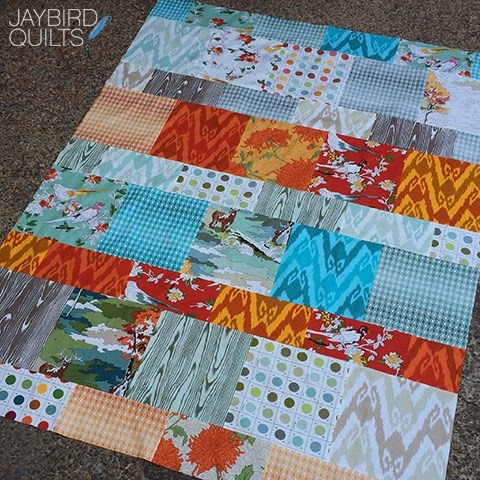 They asked if I wanted to create a Layer Cake Lemonade quilt to celebrate the release. I said yes of course and this is my quilt!! It came together SUPER fast! 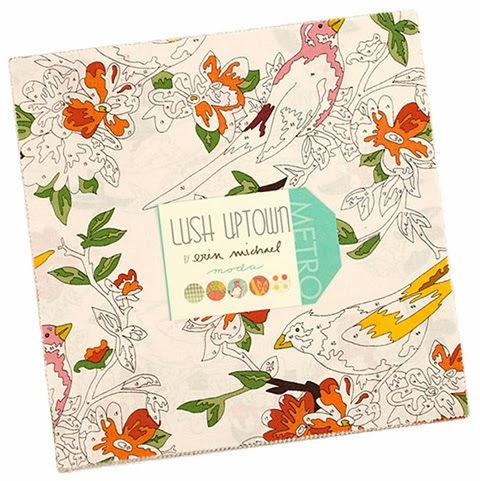 I picked Lush Uptown by Erin Michael for Moda. 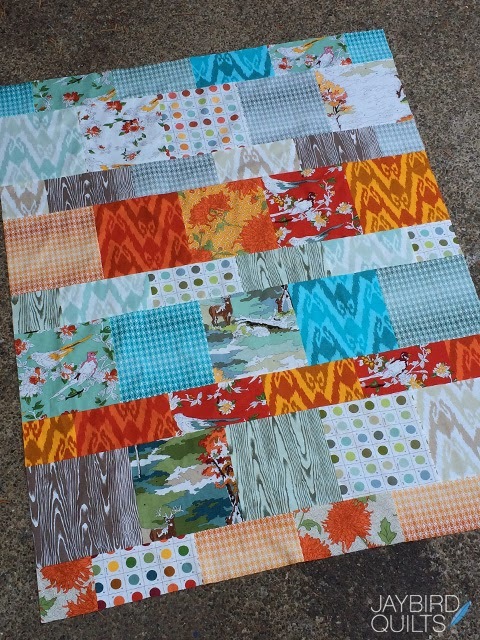 I knew this line had some large prints that I wouldn't want to cut up... and figured this was the perfect pattern. Here are some detail photos of those large scale prints! 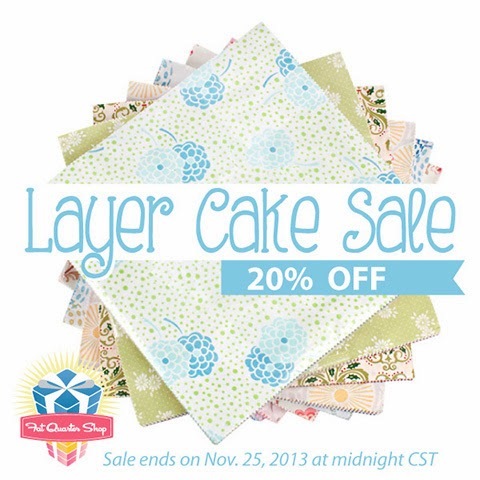 To celebrate the release of Layer Cake Lemonade... all Layer Cakes are 20% off this week at Fat Quarter Shop! 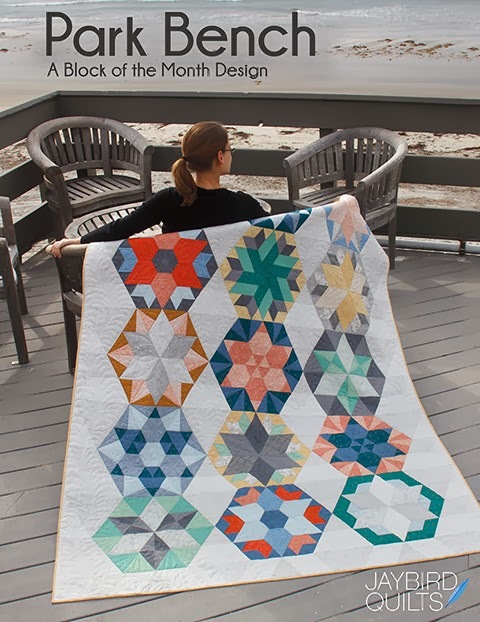 In addition to the PDF pattern they made a YouTube video too! Note: I did modify the pattern a bit to control the color placement. Instead of separating it into lights & darks, I created 4 rows of colors. Then I cut my remaining layer cake squares in half and created the skinny rows of color. 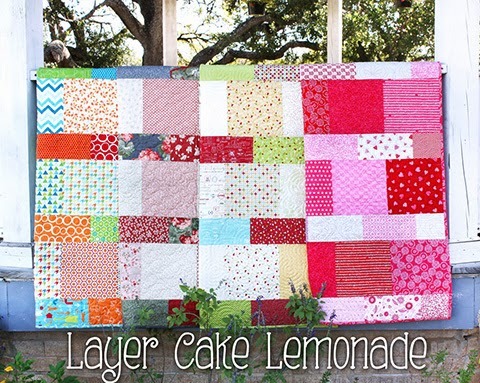 Make sure to check out the Jolly Jabber today to check out lots of other Layer Cake Lemonade quilts! 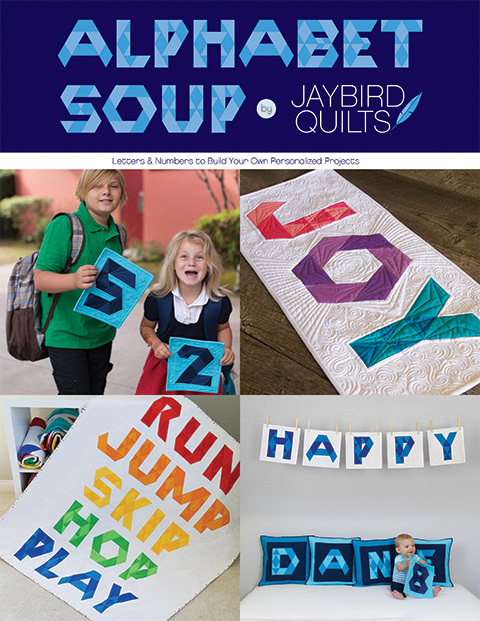 Julie, our quilt is so different and really cool. looks like it is "flowing" somehow. Cute, cute, cute! 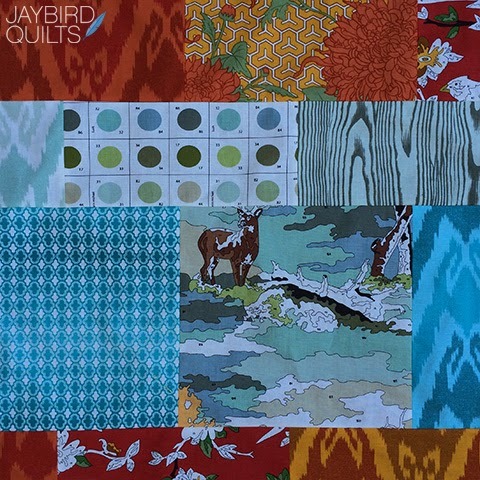 Love the quilt and the video. 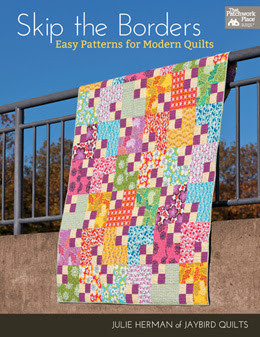 The fabrics you used really make this quilt pattern ! Well! 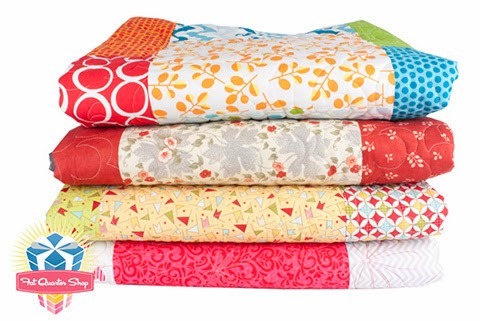 I have a layer cake of Lush Uptown I have been itching to use in something, this might be it! That looks like fun! Thanks for the alert. 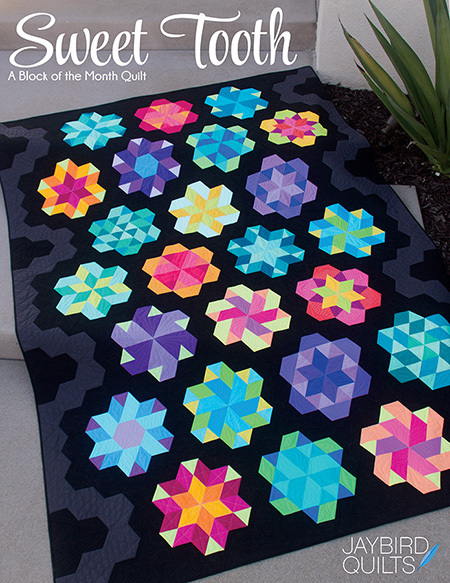 All of the versions of this in quilt blog land are just great. 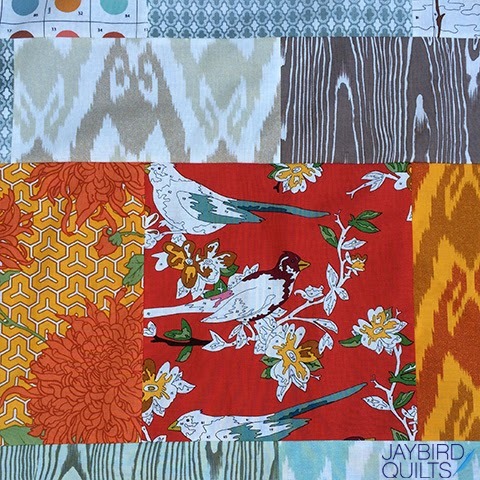 Your fabric choices make the pattern - it's totally gorgeous, fresh, modern & I love how it's unexpected if you know what I mean!